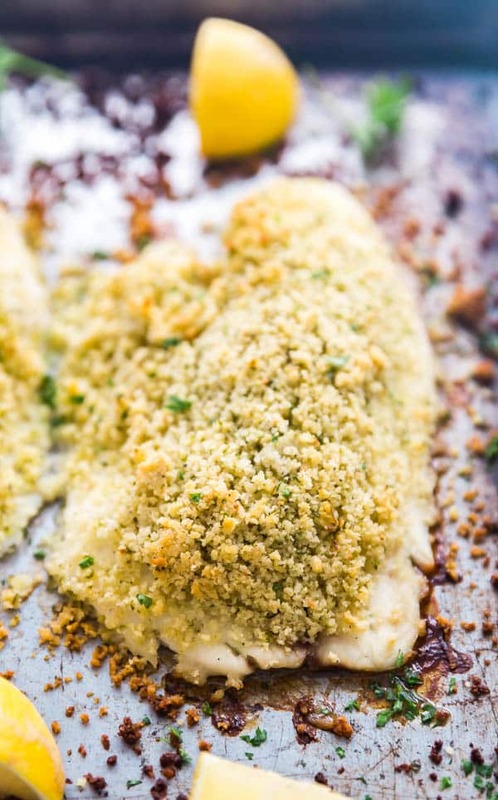 Panko Parmesan Crusted Baked Tilapia is quick, easy and so completely delicious. It’s the best, light weeknight dinner! I’ve always been a lover of all things seafood. But you know what I really love about cooking fish for dinner? The fact that it comes together really quickly. This is a super important prerequisite for my weeknight meals. Because ain’t nobody got time for that. 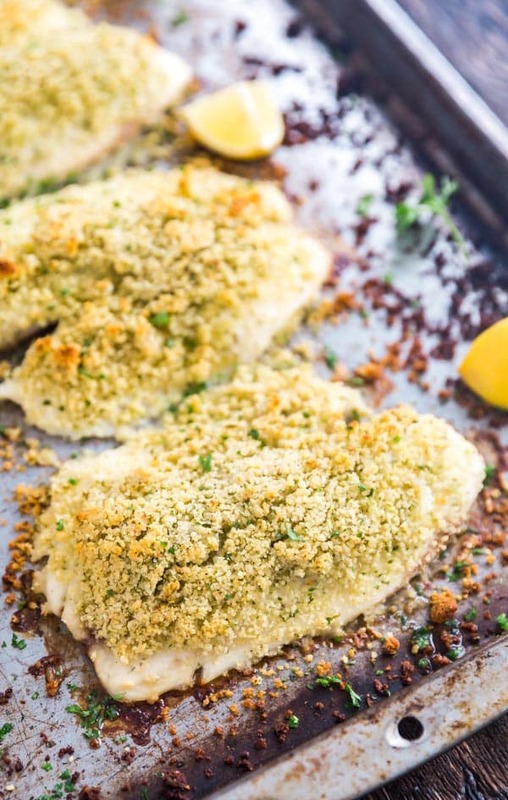 This baked tilapia recipe is a super tasty throw-together meal that is an upgrade from simply throwing the fish onto the pan and popping it into the oven. 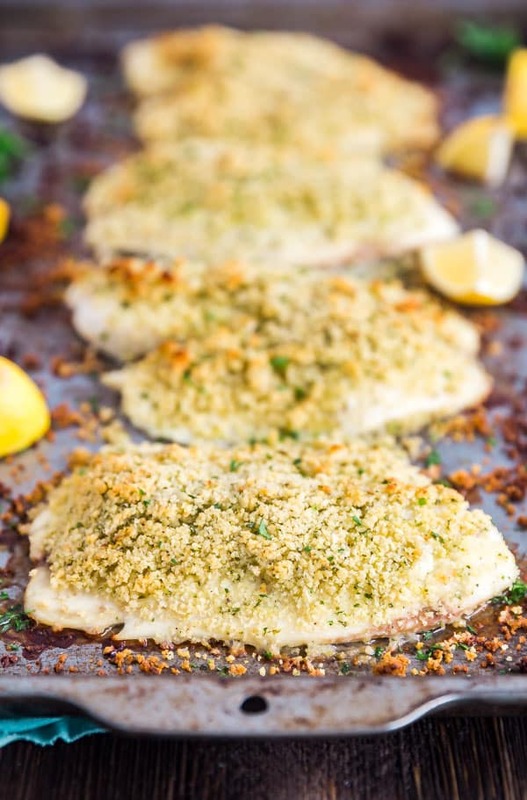 I love the super flavorful and crispy crust that site on top of the fish. It almost gives you the feeling of eating fish sticks or a breaded fish fry without the hassle of breading the fish. Now I know some people are weird about the whole cheese/fish flavor combo. But you guys I’m not asking you to melt cheddar over your fish our anything. I’m not a complete monster! I feel like parmesan cheese is a little different. 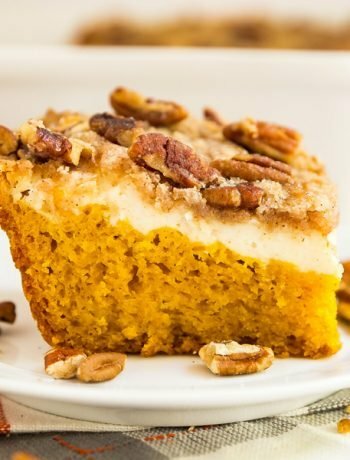 It’s got such great flavor that adds an additional crispiness to the crust that makes it different that the melty, stringy cheese that people usually think of when it comes to cheese (which totally would not be appetizing on fish). Now I know a lot of people prefer to pan fry fish, and I get it, that’s totally delicious! But I also really love enjoying my tilapia baked. It’s healthier without sacrificing flavor and texture. 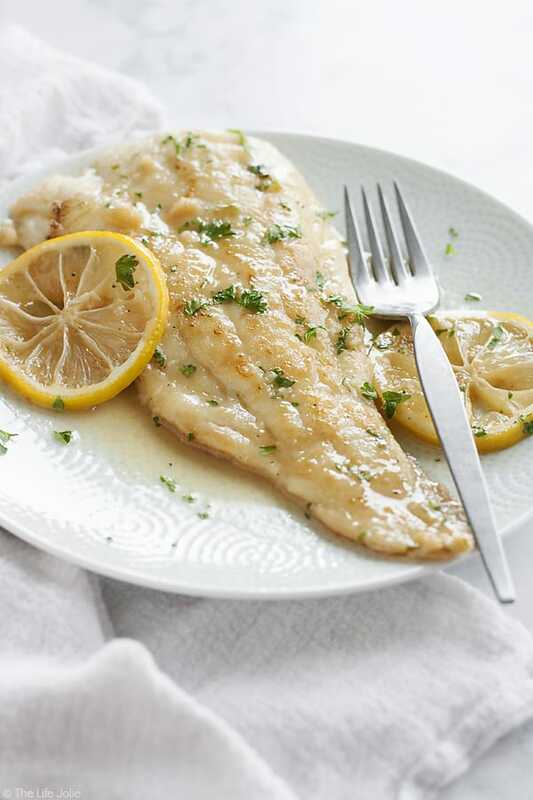 What should I know about making oven baked tilapia? Be generous with your salt and pepper when seasoning it with the panko parmesan mixture. I used my Mini-Prep Processor to get a nice, complete mix of the panko parmesan mixture. It just works better than using a whisk or a fork. 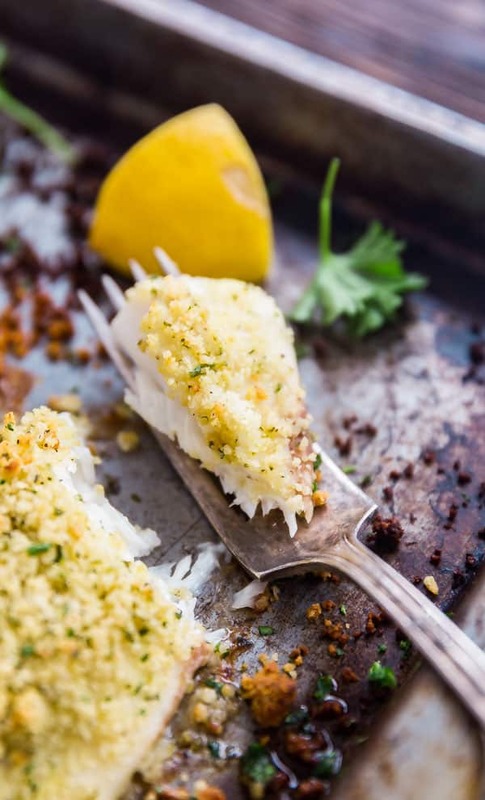 Take your time when spreading the panko parmesan mixture onto the fish, it can get a bit messy. Feel free to use any other light white fish if Tilapia isn’t your scene. Be liberal with some extra lemon when you’re serving the fish. It adds a wonderful brightness and makes a pretty garnish. 1 Tablespoon olive oil + a little extra for drizzling the fish. Process all ingredients except the fish in the mini prep processor until well combined. 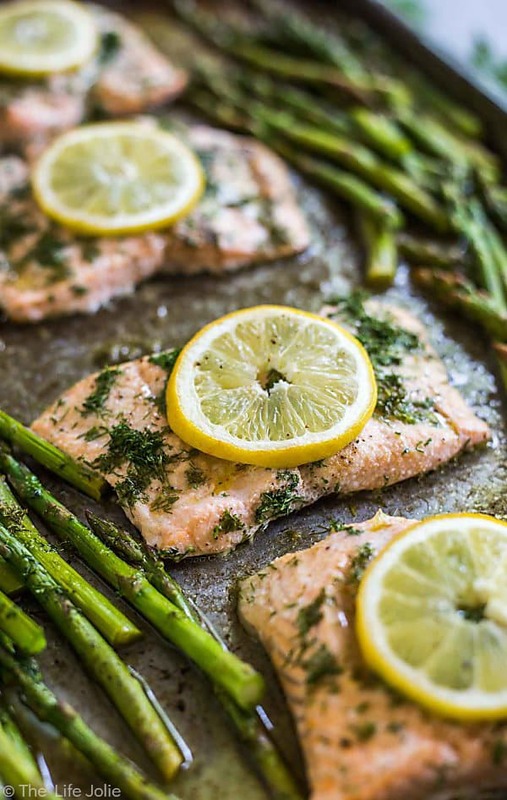 Place the fish on the prepared pan and lightly drizzle with olive oil. Sprinkle the fish with salt and pepper. 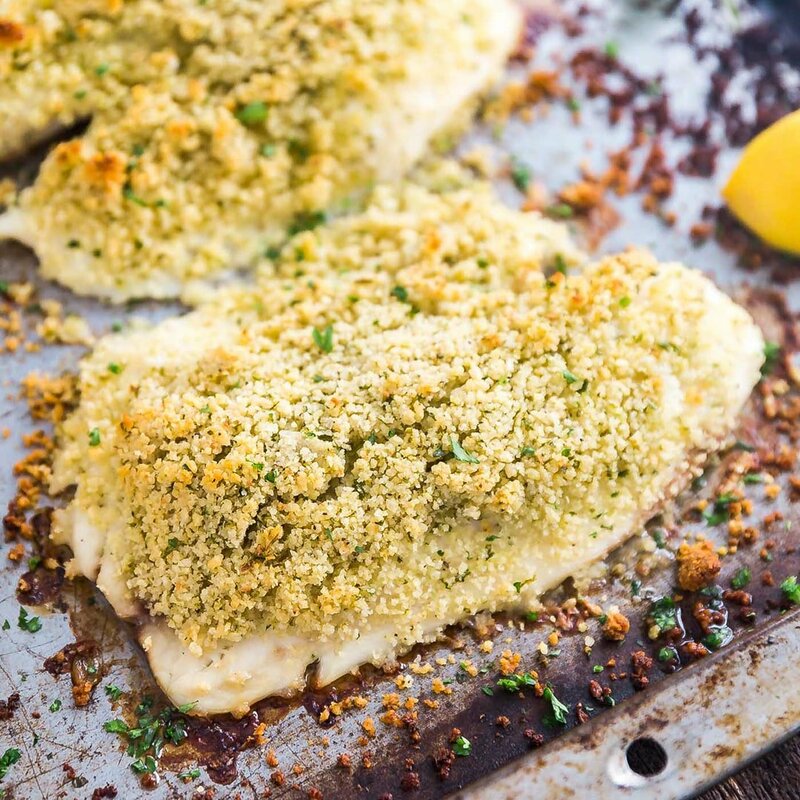 Divide the panko parmesan mixture between each of the tilapia filets and press it into the top of the fish so that it almost covers them. Bake for 20 minutes or until they reach an internal temperature of 145 degrees. Garnish with extra parsley and lemons and enjoy immediately with extra lemon juice. This reheats pretty well but is best right away.